We are living next to a ticking time bomb and things are happening - every minute that passes, facts are being established on the ground. There is no status quo. 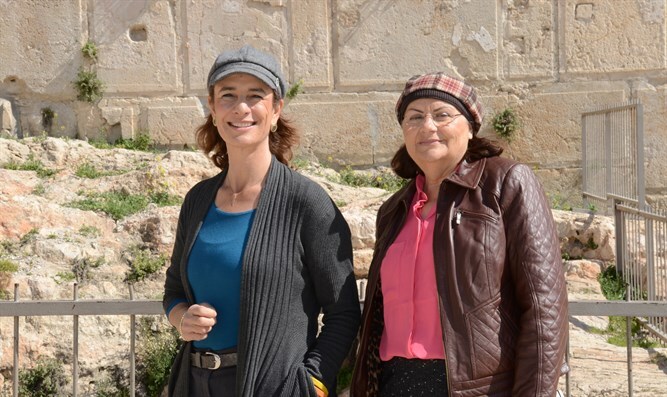 Nadia Matar and Yehudit Katsover are co-Chairwomen of Women in Green (Women for Israel's Tomorrow). As part of our efforts to promote the vision of Israeli sovereignty over Judea and Samaria, we appear before groups throughout the entire country. Military preparatory schools, high schools, religious and secular schools, from the Left and the Right, invite us for discussions, panels and lectures. Sometimes these meetings are held as part of what is called “Judea-Samaria Week”, when young students come to Judea and Samaria to meet with spokesmen from across the political spectrum. In these meetings we present the youth with our point of view, the main idea of which is that the Land of Israel belongs to us and we must not surrender it; the plan of “two states for two peoples” constitutes an existential, spiritual, ideological and security threat to our country. We lay out the plan for the application of sovereignty that we have been promoting in recent years before the visitors and hosts and explain the ramifications of applying sovereignty. We hear things of this sort not only from the youths in the seminars and discussions, but also from average citizens, among them public figures and academics. We are convinced that the surrounding calm is evidence that the holy status quo is being maintained by the other side as well. Like fish that swim in an aquarium without knowing that someone has drilled a tiny hole in the bottom and the water is slowing leaking out. Here is where we explain one basic foundational fact. Even if it does not seem so, there actually is no status quo. The calm is nothing more than an illusion. We are living next to a ticking time bomb and things are happening - every minute that passes, facts are being established on the ground and are becoming a basis for additional facts on the ground and this phenomenon is growing and pushing the State of Israel off its Land. Beneath the camouflage of calm and quiet the Palestinian Authority is taking over more and more of Area C, land which even according to the Oslo Accords is to be under Israel’s exclusive authority. Every day, Salam Fayyad’s plan for the Arab takeover of land in this territory is being realized by strangling the development of Jewish settlement. The residents of Judea and Samaria can see this reality happening around them every single day. 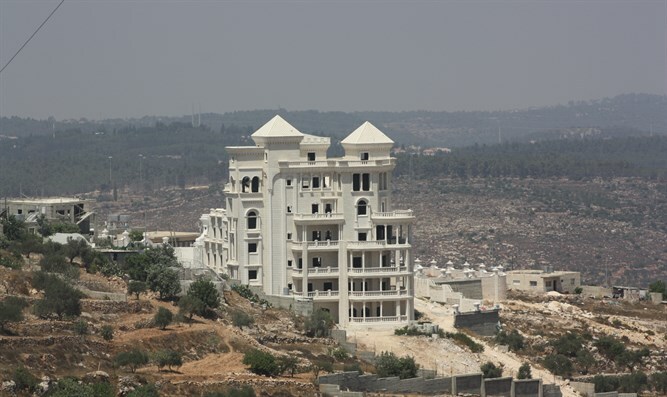 Hills that were arid wasteland until recently, are being built up, funded and supported by the European Union, and the closer the construction is to the traffic arteries leading to the Jewish communities, the more support is given. And along with the illegal construction, there is illegal agriculture as well and illegal quarries, lands that have been bought by Jews are becoming enclaves, surrounded by Arab construction and agriculture and sometimes these lands as well are being appropriated by Palestinians without the appropriate and necessary Jewish response. The Palestinians are determining facts on the ground and with characteristic Arab patience are quietly building a state for themselves without any objection and without handshakes or signed documents in brightly lit halls. They understand well the value of land and we, with our diaspora complexes, still prefer a signed piece of paper of no real value. And what about us? We are indifferent. We are convinced that the surrounding calm is evidence that the holy status quo is being maintained by the other side as well. Like fish that swim in an aquarium without knowing that someone has drilled a tiny hole in the bottom and the water is slowing leaking out. Dear friends, we must wake up and understand – there is no such thing as the status quo. This is a dangerous and stupefying illusion that is allowing a Palestinian state to become a reality right under our noses, with all of the dangers that it presents to the long-term future of the State of Israel. We therefore repeat again that Israeli sovereignty over Judea and Samaria is an urgent necessity. The hourglass is emptying and the sand itself is being lost, the lands are also being lost and we are losing our hold on them. A decision must be made as soon as possible – either a Palestinian state with all of its existential dangers, or sovereignty, while coping with the complexities of the idea and the vision. Is Israel going to commit suicide with the establishment of a Palestinian state in its heart or cope with a localized headache that can be solved by the application of sovereignty? This is a time of critical decision.